With the new year fast approaching, you may be thinking about ways to improve your overall health, or mental health in particular. Lucky for you, there are literally thousands of mobile apps that can help, from the privacy of your own home and with little to no cost. But where do you even start? With so many apps to choose from, how can you decide which one is right for you? You could check out Calm, an app for mindfulness and meditation, which Apple just named its App of the Year. Or there’s Reset, which in September, was approved by the FDA as the first app for treating substance abuse. You may have heard of Happify, a popular app promising to bring you effective tools that help with stress, anxiety or depression. Or there’s Talkspace if you prefer to communicate with a licensed therapist through texting, voice or video calls. That’s four apps to consider; only about 9,996 to go. Experts believe there are over 10,000 mental health apps in existence — a number that has exploded in the past few years and will likely keep growing. The boom is exciting in its potential to address a longtime dearth in mental health resources and by helping bring attention to the issue more broadly. Yet much of the mobile app landscape is new and mental health experts point to a lack of research. That leaves both patients and practitioners in a bit of bind when trying to figure out which apps are most effective. “Ninety-five to 99 percent of mental health apps have no direct research behind them,” said Dr. Stephen Schueller, faculty member at Northwestern’s Center for Behavioral Intervention Technologies and executive director of PsyberGuide, a non-profit that identifies and reviews mental health apps. A big part of the reason, Schueller explained, is a “commercialization gap”: The people who know how to develop research trials don’t necessarily have the skills or interest in commercializing an app, while app developers who have an enormous interest in doing so probably lack the skills or resources to set up research trials. The app market doesn’t care either way; makers of mental health apps don’t have to provide research showing that their products work or are even safe. Still, the lack of research does mean that people should be on the lookout for a few key factors before committing to any particular mental health app. The American Psychiatric Association has developed a hierarchical order of criteria to help people decide on the best mental health apps for them. In this model, the first and most important factor is whether the app safeguards medical information — something most people probably assume is required of anything having to do with mental health. Surprisingly, few apps take privacy into account. Lastly, the APA recommends people look into how easy it is to share their data or progress on an app with their doctors. App use should always be overseen by a clinician, Torous said, and so it’s important that apps allow for data to get back to right people. Which apps do the experts recommend? As of now, the APA does not offer ratings for specific apps; its evaluation model is meant to serve a tool for doctors and patients thinking of integrating apps into their mental health care. But in general, Torous said, mental health apps developed by the U.S. Department of Veterans Affairs meet many of the APA’s criteria. The apps — which help with everything from learning how to practice mindfulness to strengthening parenting skills — are designed for veterans and VA care teams, but they are publicly available on all the commercial marketplaces. 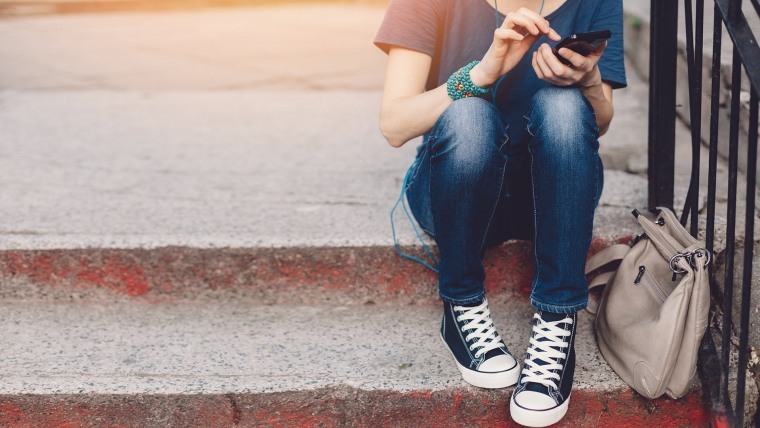 Dr. Jodi Gold, pediatric psychiatrist and author of the book, Screen-Smart Parenting: How to Find Balance and Benefit in Your Child’s Use of Social Media, Apps, and Digital Devices, is likewise reluctant to give specific recommendations for mental health apps. But she’s encouraged by the ones that help with screening and provide information about various disorders. Still, she said, it’s crucial that people — and kids, especially — see a doctor for treatment and medication. “When people are left alone with mental health apps, they over diagnose themselves,” said Gold. “It can be very scary to read about mental health online without anyone to help you navigate it."